Speak up for children in poverty! In 2017 the 4th Musketeer will organize four Muskathlons in cooperation with Compassion. 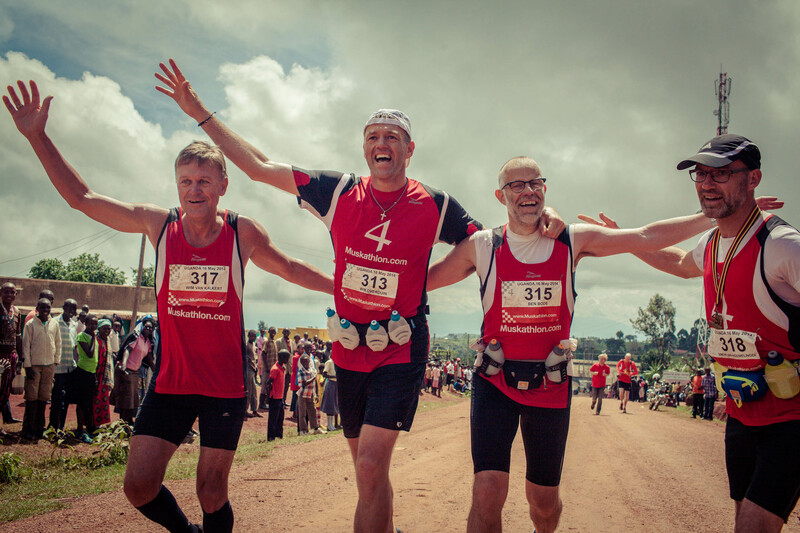 In Ecuador, Uganda, Rwanda and Indonesia men and women will walk (60+ km), run (21, 42, 63 km km) or mountain bike (120 km). In Rwanda, men and women will for the second time be able to join the 'Tour de Rwanda', cycling 400 km in multiple stages. Routes of the Muskathlons are centered around Compassion projects in areas of extreme poverty and lead through dry areas, beautiful jungle and small villages. The funds raised are spent at Compassion projects in the countries the Muskathlons take place. Children receive education, medical care and healthy food, so they can escape from extreme poverty. Every child who participates in a Compassion program is given the opportunity to learn about the love of Jesus and discover how to develop a life-long relationship with God. During the trip, beautiful countryside will be explored, participants will have the opportunity to connect with locals and they will meet their sponsored children. A life-changing experience.